We are thrilled to welcome UK Entrepreneur and founder of Accessories by Abiye: Abiye-Yvonne Dede to the spotlight this evening. 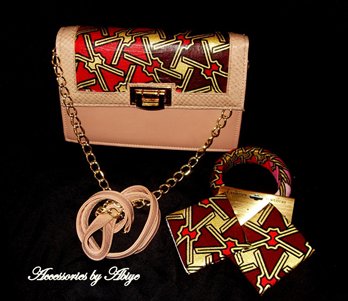 Accessories by Abiye launched in December 2012, is my own contribution to the fashion scene. 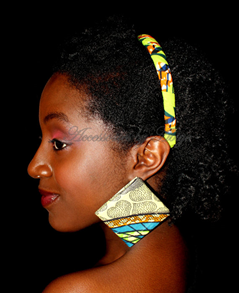 Because of my African heritage, I’m a big fan of the vibrant colour and patterns of the African print fabric. My line is my attempt to showcase and introduce African fashion to the world, using African print-inspired accessories that can be worn with any basic outfit. My line hand makes and customises jewellery – earrings, bangles, necklaces other accessories such as hairbands, brooches, bow ties, handbags & clutch bags and shoes. We hope that t-shirts for spring/summer will be available soon. 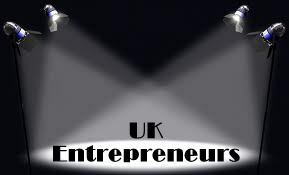 Spotlight:What made you start this business? There’s a huge trend at the moment utilising African prints that I love, but I felt there was nothing special about any of them. I wanted to add my own style into the already existing fashion scene and more importantly merge Western with African fashion. I wanted to wear accessories that made a statement - accessories that stood out especially when teamed up with everyday outfits. My idea was to show how African fashion could be incorporated into work, party, casual and play outfits using these accessories. By far the best bits are seeing a design go from my mind into something that can be worn & seeing the difference it makes to an outfit, it’s just an indescribable feeling – a great sense of accomplishment. What makes it even better is the appreciation I get from the general public! It’s just amazing! So far, there’s not been any worst bits, Accessories by Abiye is still relatively new and I’m still enjoying every minute of it. 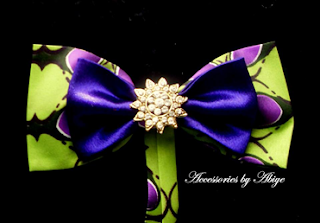 Some of the highly demanded products include this purple hairband (which I’ve made into a brooch/hair clip or a hairband, depending on the customer requirements), this brown, pink & gold handbag/clutch bag and this gorgeous green, orange and cream choker. 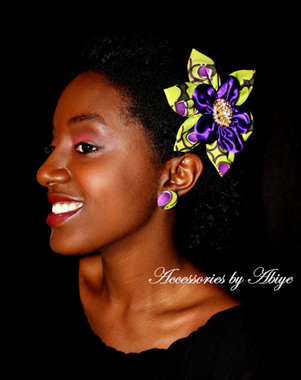 Our accessories are available to purchase on our ETSY store: www.etsy.com/shop/accessoriesbyabiye. We are currently developing our new website www.accessoriesbyabiye.com where you can purchase items, see the latest trends and how other people have styled their Accessories by Abiye. This website will be launched in April, 2013. Accessories by Abiye is also on Facebook, Twitter, Instagram, Youtube and LinkedIn. Add us on any of these pages to be informed about any special offers we may have such as giveaways, flash sales and events. Spotlight: On behalf of myself and all my readers, I'd like to thank you for putting yourself under the 'spotlight' this evening. It has been a pleasure getting to know you and I wish you continued success. 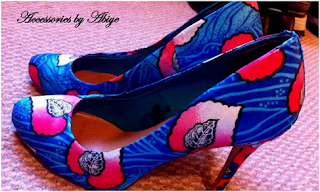 Abiye: Thank you so much, Annette for featuring me in your blog. 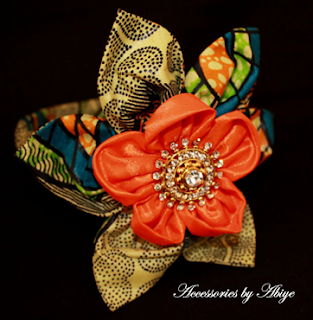 As a way to say thank you, I’d like to offer all your readers 5% OFF any purchase on our etsy store: www.etsy.com/shop/accessoriesbyabiye. Just type BLOGFEATURE05 at the checkout.